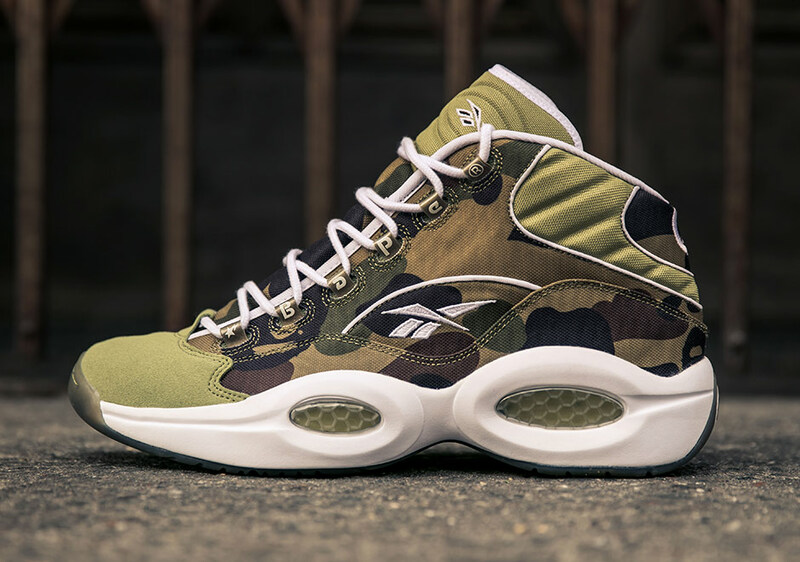 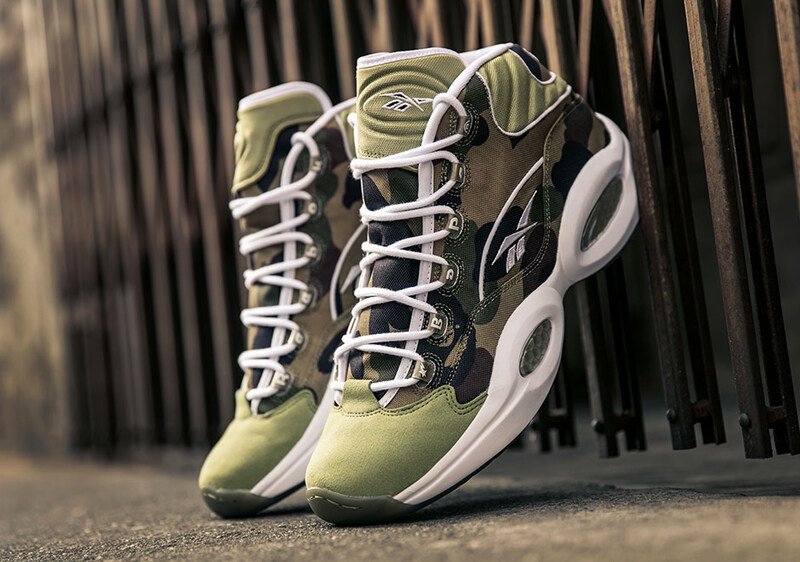 It’s been a big year for the Reebok Question, as the iconic Allen Iverson signature model has been celebrating its 20th anniversary with an epic series of collaborations from respected sneaker shops and figures in the community all year long. 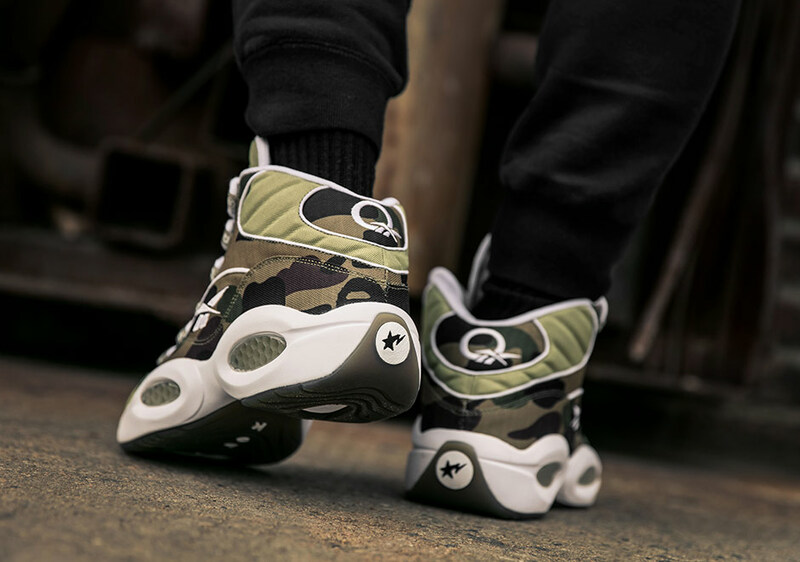 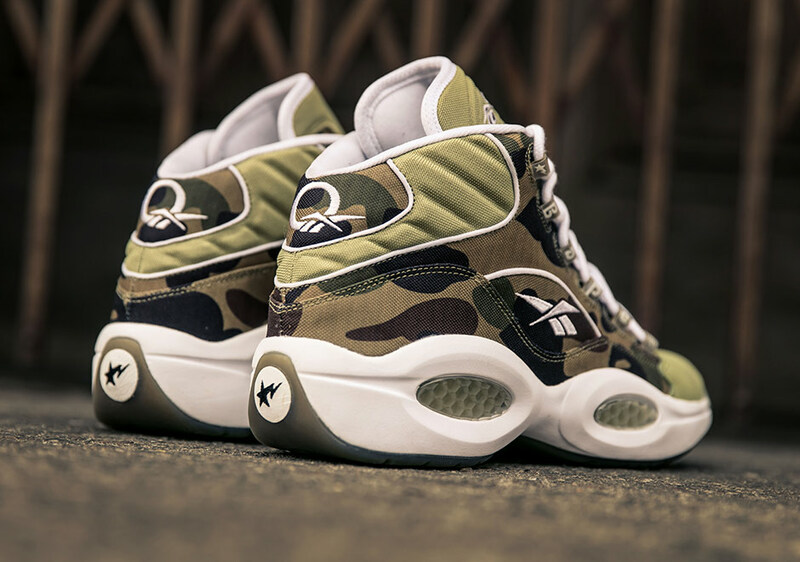 Now the Year of the Question is set to end on a definite high note, with the drop of the Reebok Question Mid x BAPE x mita Sneakers collab. 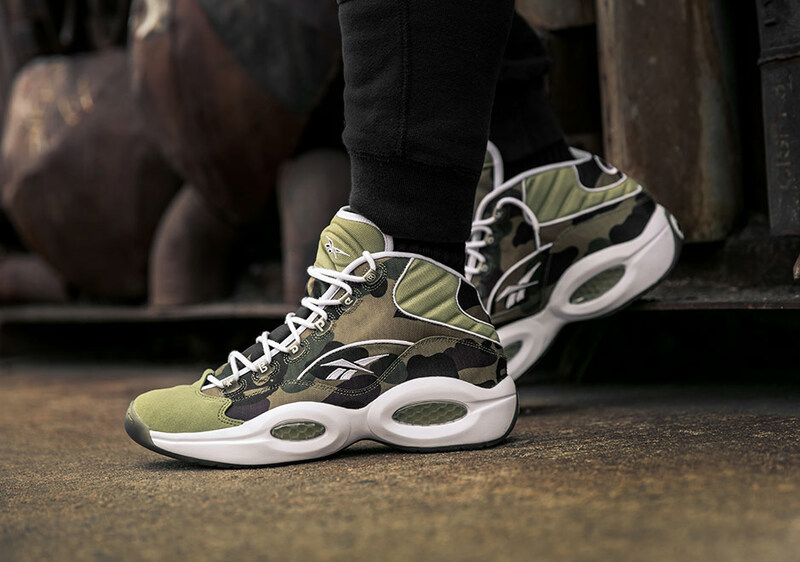 What may easily become the most sought-after edition of the shoe from the entire year, the Question is outfitted in BAPE’s signature camouflage pattern, constructed in a durable ballistic nylon upper with felt toe caps in olive green. 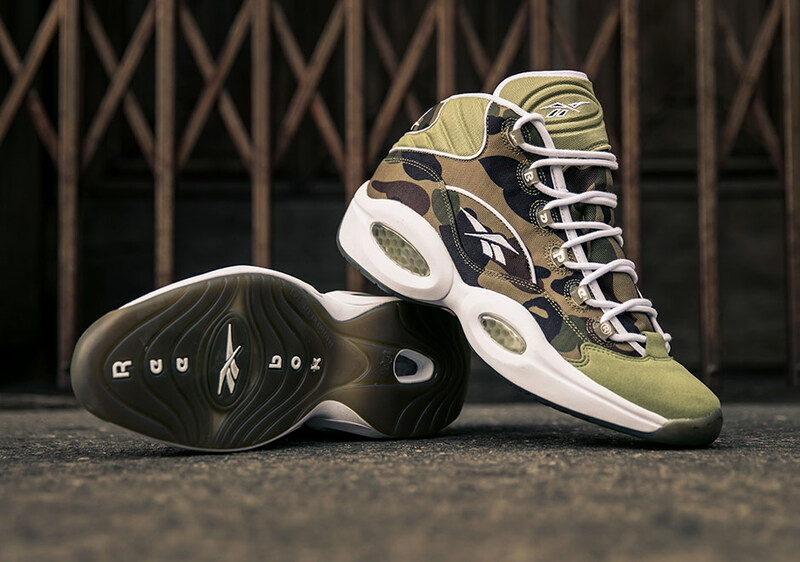 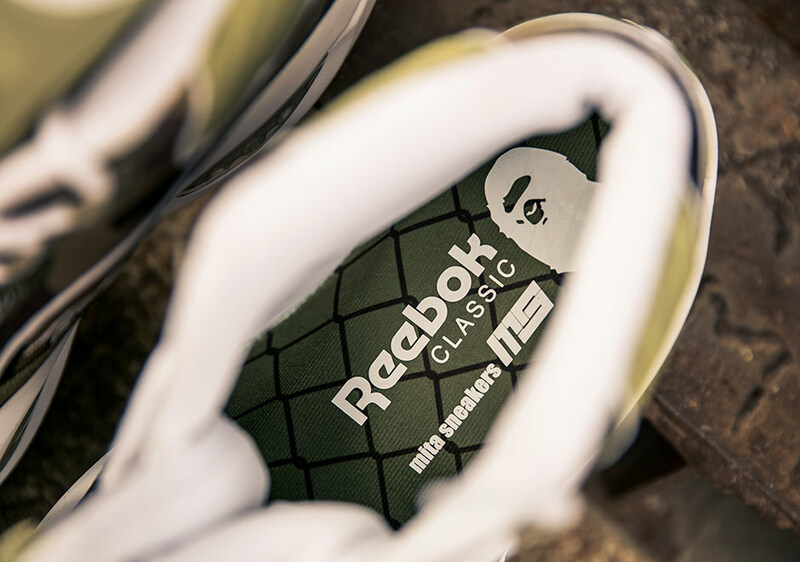 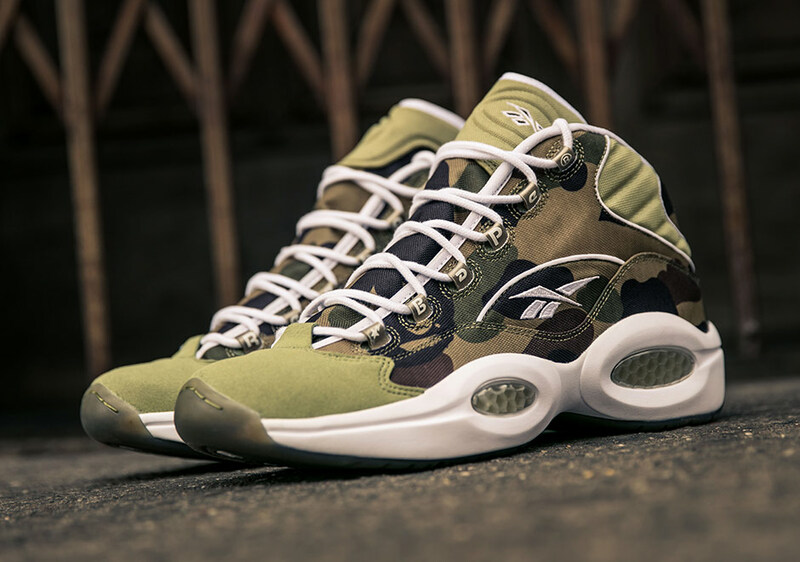 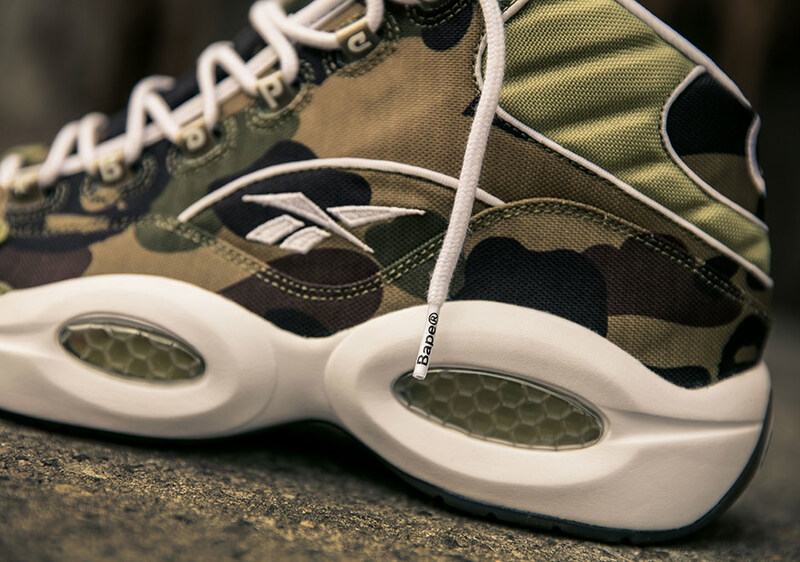 Further special details include BAPE branding on the lace loops in Reebok typeface, their star logos in place of the usual #3 on each heel, and a translucent olive outsole to match the upper. 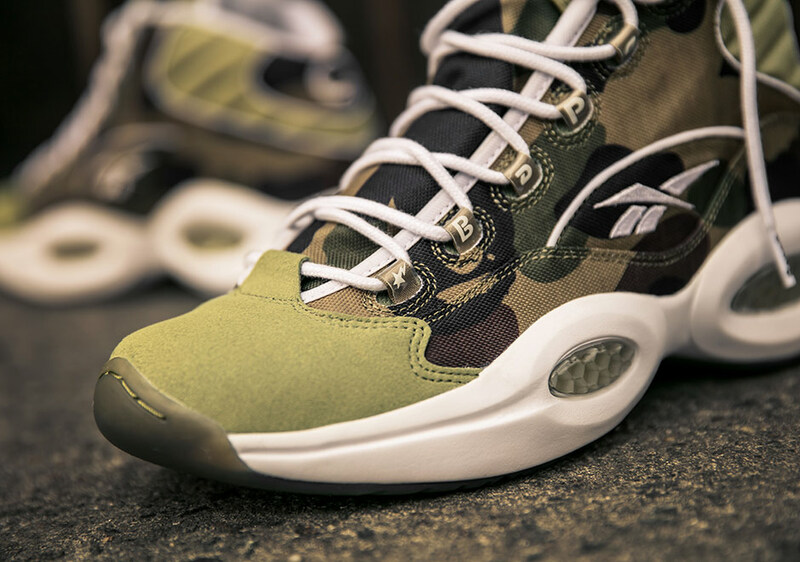 Bringing Japan’s mita Sneakers into the mix, the insoles are co-branded with all three parties in the collaboration above a graphic of the shop’s signature chain-link fence. 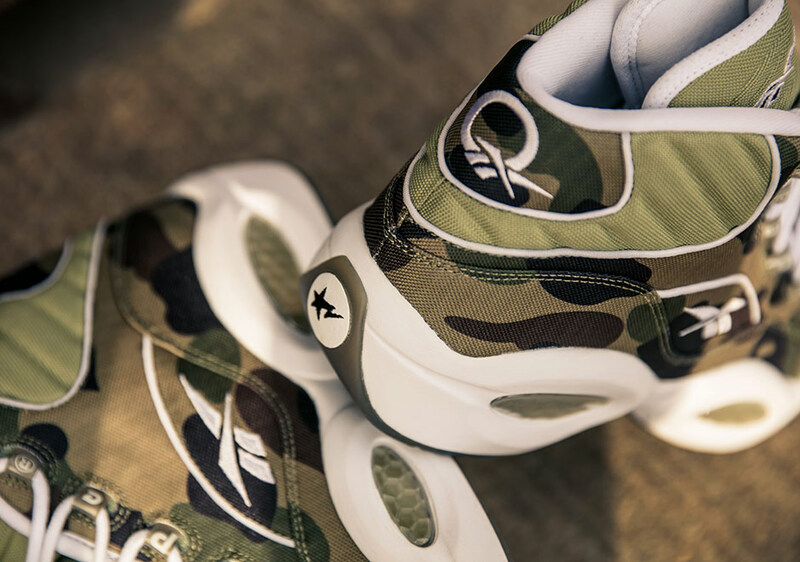 The Reebok Question Mid x BAPE x mita Sneakers collab will release on December 23rd for $210 at select Reebok Classic retailers around the globe including reebok.com.